The two funny men shout in terror as the Hollywood Rip Ride Rockit at Universal Studios takes them through twists and turns. 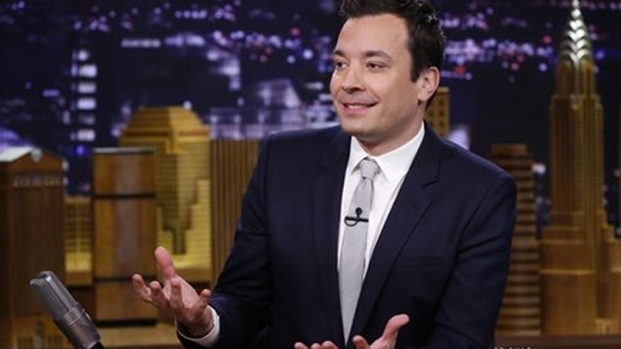 On Tuesday night, “Tonight Show” host Jimmy Fallon showed the Orlando audience a video of his scream-filled roller coaster ride with comedian Kevin Hart. The two funny men shouted in terror as the Hollywood Rip Ride Rockit at Universal Studios Florida took them through several dramatic twists and turns in the air. At one point, Fallon shrieked as a bug flew in his face. Fallon also showed a video of Hart’s recent appearance on wrestling television program WWE Raw, but the “Think Like A Man” star said the clip was embarrassing. WATCH: Brian Williams Raps "Baby Got Back" on "The Tonight Show"
Click here if viewing on our mobile app. Comedian Kevin Hart recaps his recent experience hosting WWE Raw and explains what a physical encounter with Triple H is like on "The Tonight Show."